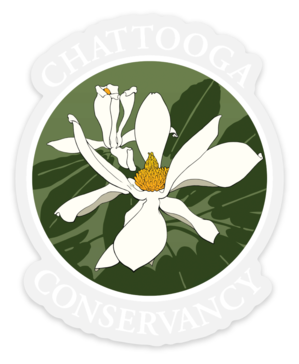 The Chattoogaland salamander sticker is back! This awesome & eye-catching sticker was designed by local artist Emma Hershberger. Safe for your car, water bottle, laptop, etc. Each sticker measures 3.75″ in diameter. 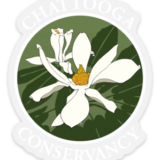 The Chattooga Conservancy classic logo sticker! Transparent behind white text, perfect for a car window or dark surface. Measures 2.83" x 3.5".